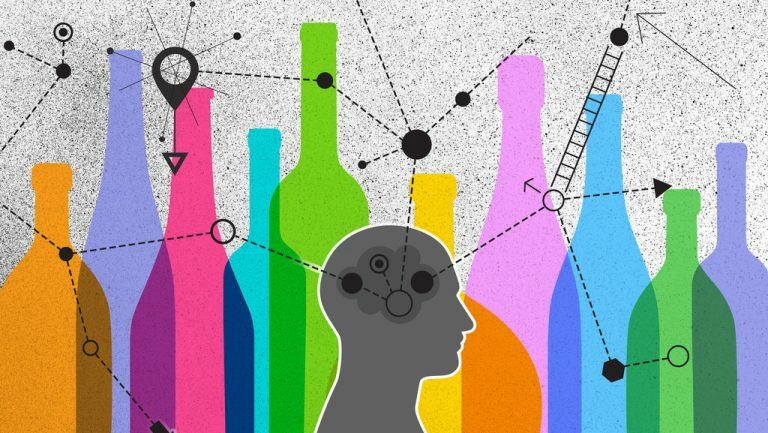 SevenFifty Insights is an analytics solution built specifically for wholesale alcohol distribution. 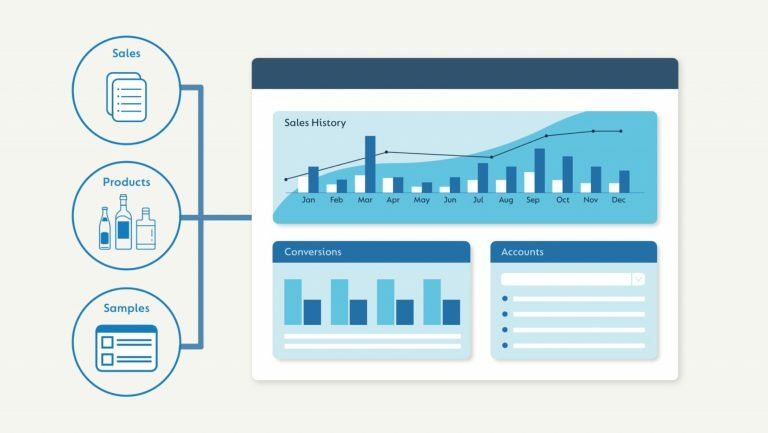 This groundbreaking set of reports ties together samples, sales, and product data in one place and offers unparalleled insight into your business. From real-time sales history reporting to a breakthrough Samples-to-Sales Conversion Report, SevenFifty is now your source of truth into what’s working for your company. The Samples-to-Sales Conversion Report establishes a clear connection between your reps’ sampling strategies and resulting sales. Gain insight into product performance and rep effectiveness by comparing presentation-to-placement conversion rates, and monitoring reorders. 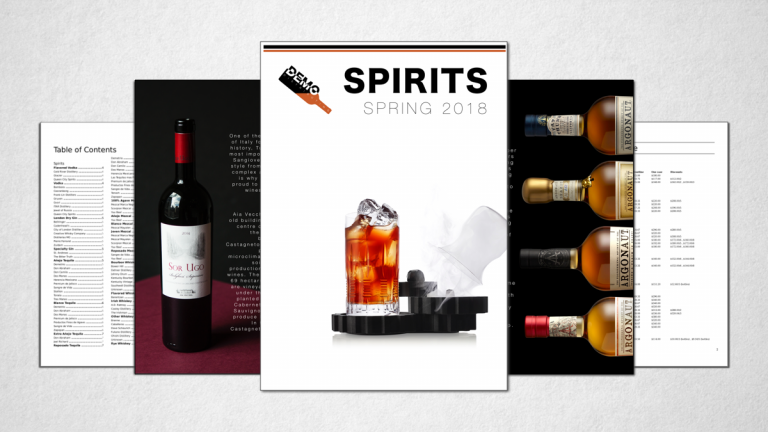 This breakthrough report finally allows you to benchmark the return on investment from your samples. Sales reps present products to buyers using SevenFifty sample sheets. 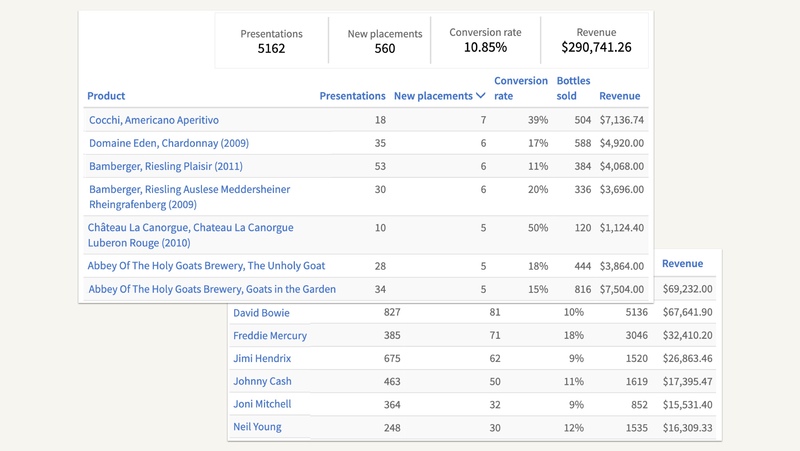 Product presentations connect with sales data, allowing SevenFifty to identify new placements resulting from samples. 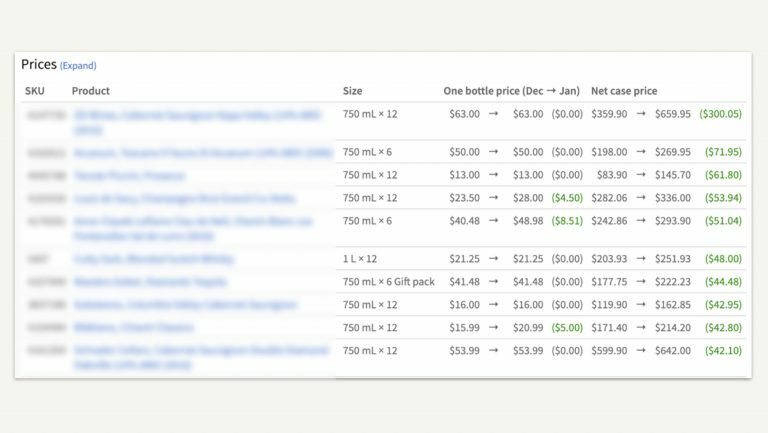 The report calculates conversion rates by product, rep, and account, and tracks the number of bottles sold and revenue generated as a result of new placements. 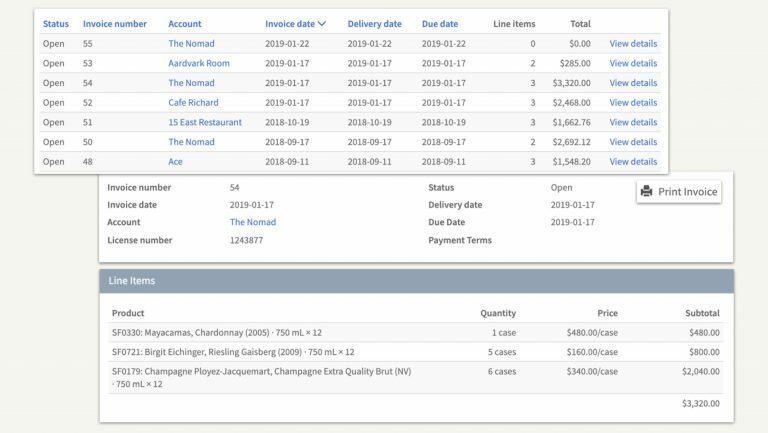 Use the results to calculate ROI and compare rep performance with samples, monitor product sell-through, identify areas where your team can improve, report results to suppliers, and more. The Sales History Report organizes and analyzes your customers’ order history so you have a greater understanding of what’s driving business. 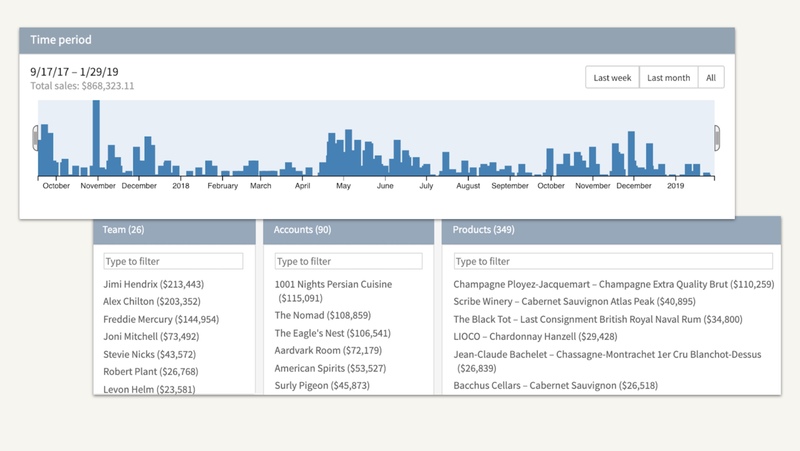 Filter, sort, and pivot your sales data by rep, producer, account, or supplier. Then export it to Excel for further analysis. 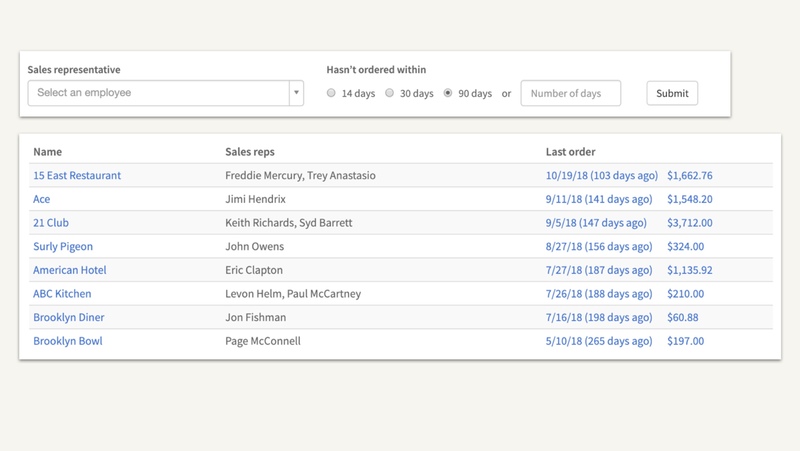 The Account Health Report analyzes your customers’ ordering patterns so you can quickly identify accounts that may be reducing the frequency of their orders. Use this report for sales management and proactively intervene before potentially losing a customer. The Price Change Report is a month-to-month snapshot that helps your reps keep track of price adjustments. This report shows both past and future changes so your reps have a chance to sell against upcoming increases. Reps can download invoices on demand without any support from your office. This empowers your reps to handle customer requests, easing the administrative redundancies caused by lost invoices. 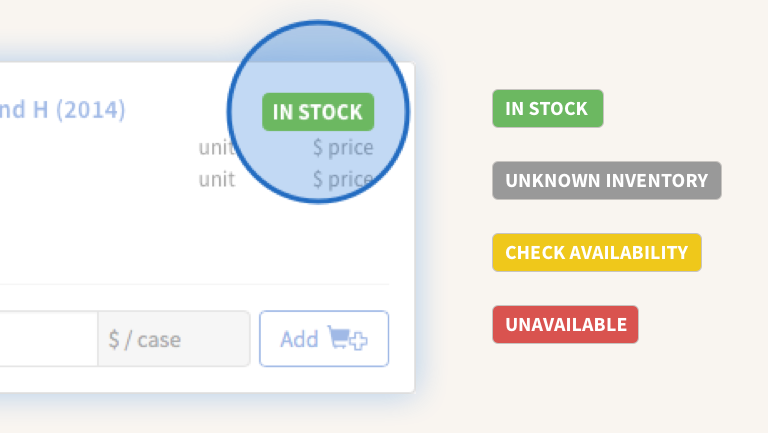 The Inventory Report shows product availability for your entire portfolio, and is accessible by web or mobile device. 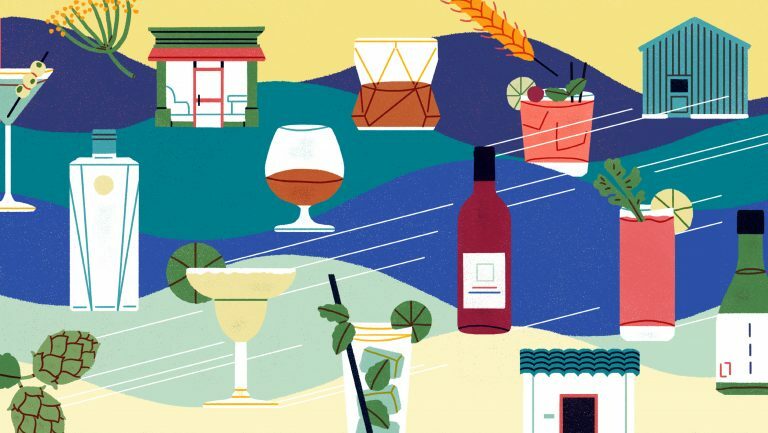 This report is built on top of SevenFifty’s advanced filter and search technology allowing reps to dig deeper into your portfolio and quickly identify new sales opportunities. 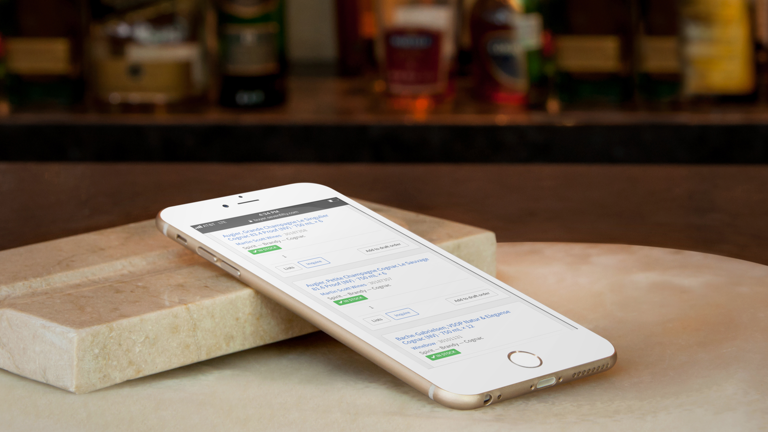 Schedule a demo to see how SevenFifty Insights can work for you.